In reaction to media support for abortion based on Down syndrome, parents are speaking up about the beauty of their children with Down syndrome. On Friday, The Washington Post published an opinion piece with the headline, “I would’ve aborted a fetus with Down syndrome. Women need that right.” When the writer of the column, deputy editorial page editor Ruth Marcus, tweeted out her story, parents, a U.N. speaker, and even others in the media criticized her stance. “Please discuss, civilly,” she added. In the tweet, she linked to her recent column where she revealed that she opted for Down syndrome testing while pregnant with her two children. But other parents disagreed – and said so in their reactions to her tweet. 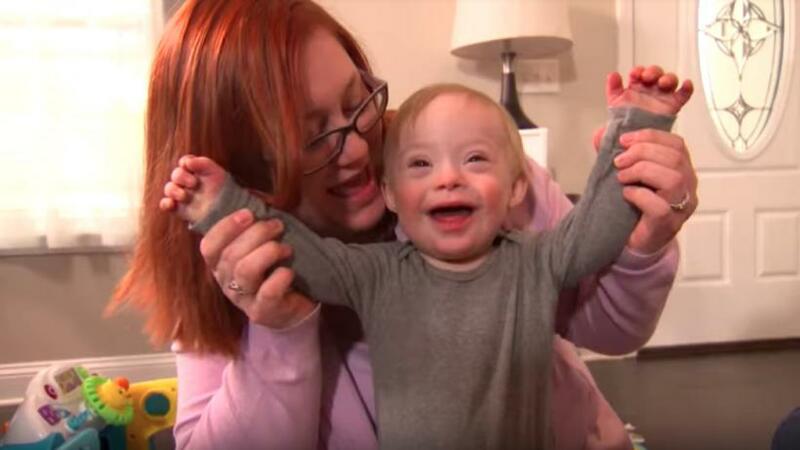 Iraq war veteran and ABC Action News reporter Clifton French responded with a picture of his son with Down syndrome. He revealed that doctors pressured him and his wife to choose abortion. Another father chimed in that “Abortion is wrong for any reason” and invited Marcus to meet his own daughter. Charlie Fien, a young woman activist with Down syndrome and autism who has addressed the UN about her right to life, also criticized Marcus. Other parents said they intentionally refused testing their children for Down syndrome while pregnant. They refused even amid insistence from doctors. Even though she was described herself as pro-choice, disability advocate Hannah Jacobs also disagreed with Marcus. Marcus’ column comes after Gerber recently chose a baby with Down syndrome, Lucas Warren, as its “Spokesbaby of the year.” It was a groundbreaking decision for Gerber, and the move made headlines across the nation. But abortion based on Down syndrome emerged as a larger talking point last year, after CBS misleadingly touted that Iceland was “eliminating” Down syndrome – even though the story was really about “eliminating” unborn babies with Down syndrome.